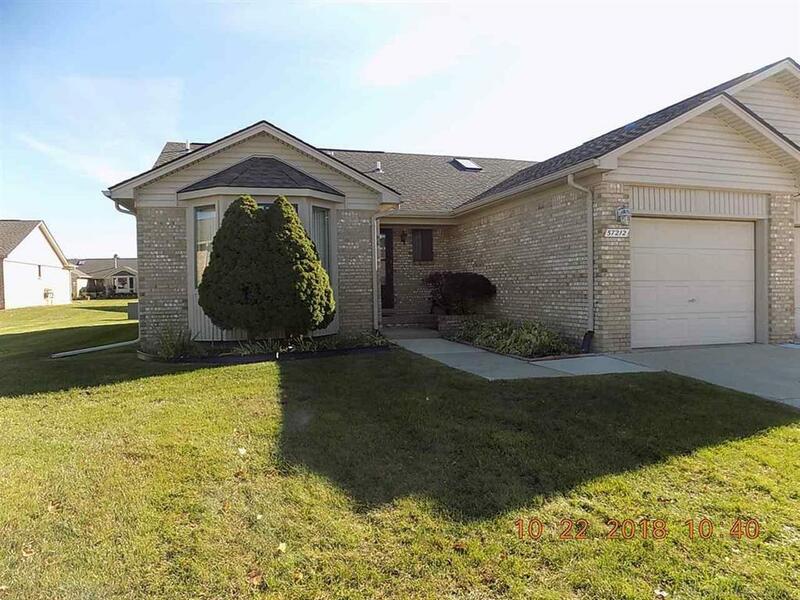 BRICK RANCH CONDO END UNIT, MASTER BEDROOM HAS WIC, 2 FULL BATHS, 1ST FLOOR LAUNDRY, HUGE UNFINISHED BASEMENT, DECK OFF LIVING ROOM, LOTS OF CABINETS WITH SKYLIGHT, ATTACHED GARAGE. NEW TEAROFF ROOF 2016, NEW WATER HEATER AND DECK 2018, FURNACE WAS REPLACED IN 1990. MUST SEE! IDX provided courtesy of Realcomp II Ltd., via 21 United and MiRealSource, ©2019 Realcomp II Ltd. Shareholders.